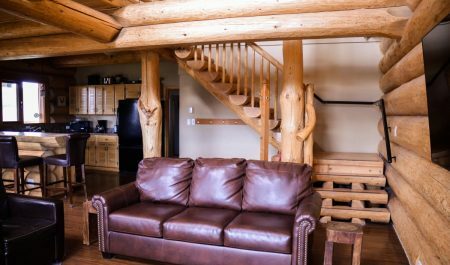 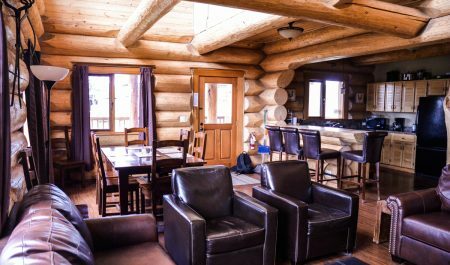 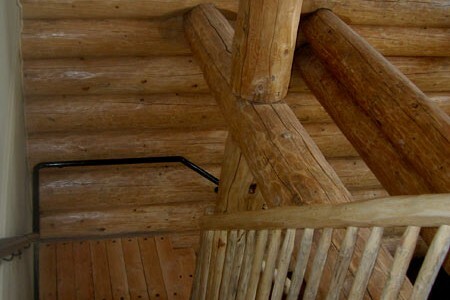 These are beautiful waterfront accommodations that feature stunning log work, brand new furniture, brand new beds and mattresses, complete bathrooms with soaker tubs, full size kitchen and incredible views of across Tunkwa Lake. 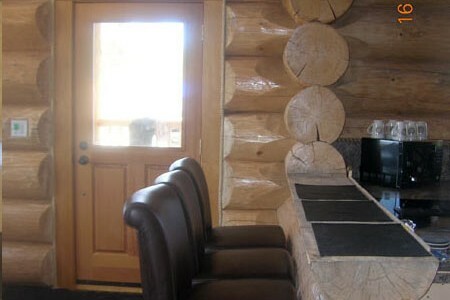 Did we mention that they also come with BBQ’s and the propane is included ? 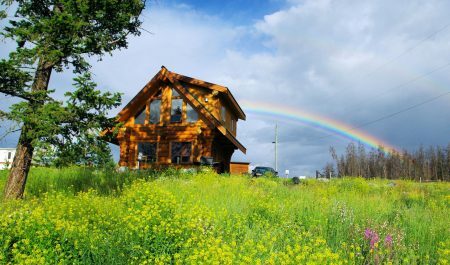 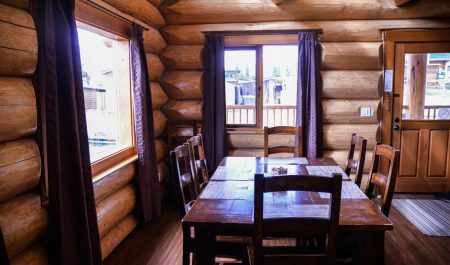 In May and June, long weekends and over Christmas and New Years the Luxury Log cabins have a 5 night minimum stay requirement, 3 nights min. 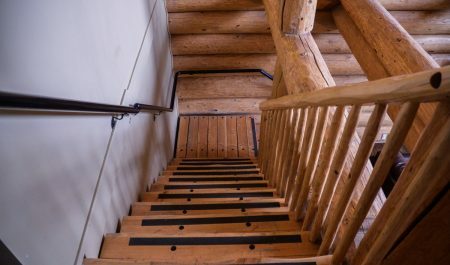 at all other times. 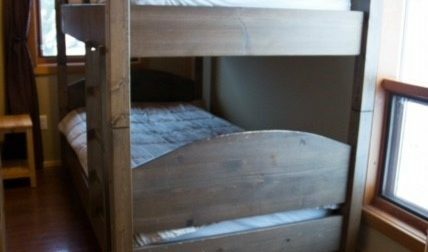 Contact us as there may be shorter stays available, between bookings. 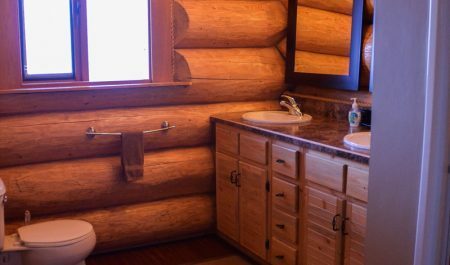 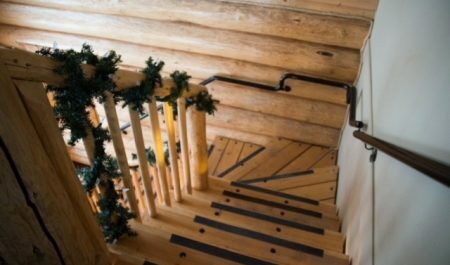 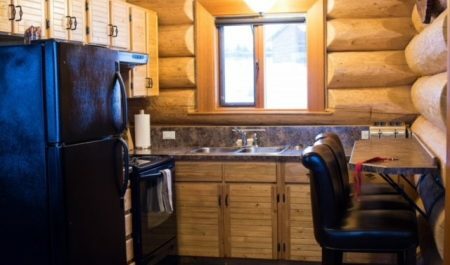 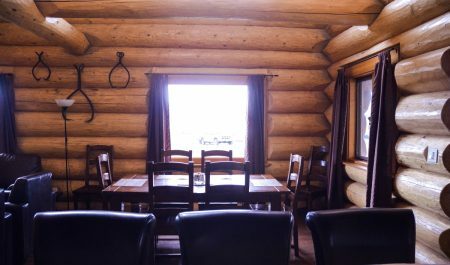 Our large, luxury log cabin(#1) has 2 washrooms, the main floor bathroom has a stand up shower, the upper bathroom a 6′ soaker tub, both washrooms have twin sinks in the vanities, flush toilets. 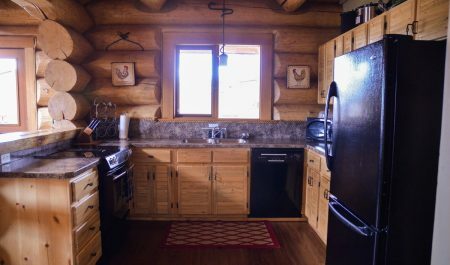 The kitchen is fully equipped, including a breakfast bar, Jennair stove, full size fridge, dishwasher, all cooking and eating utensils, bagel toaster, crock pot, etc. 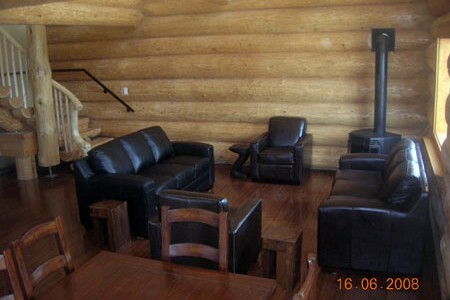 Leather couches, 12 person dinner table with chairs etc. 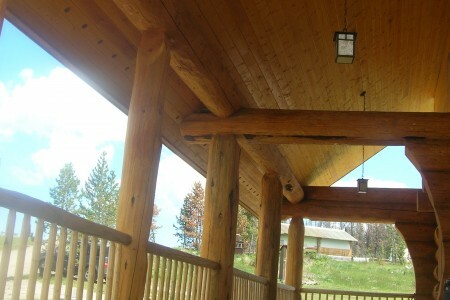 An large BBQ is located under the large covered porch and propane is supplied. 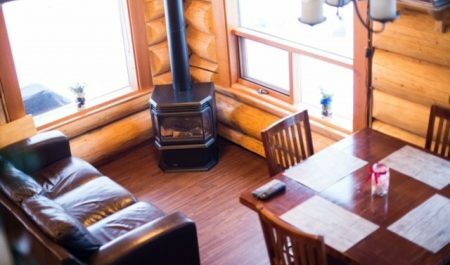 There is a corner propane fireplace for the living area as well as a 60” TV with a DVD player and basic satellite service. 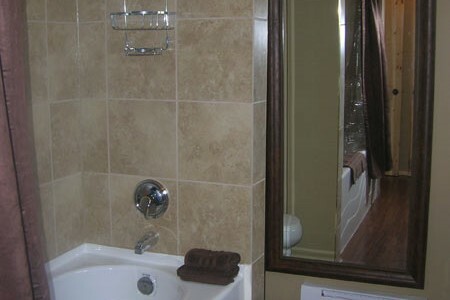 Bedrooms and bathrooms have electric baseboard heaters with wall mounted thermostats. 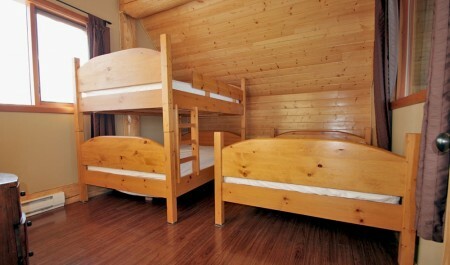 There are 3 bedrooms, and sleeping arrangements are for up to 16 people. 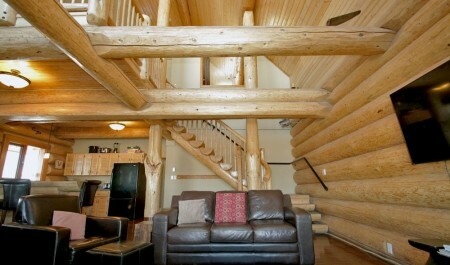 7 night rate is $2300.00 plus tax, and includes up to 4 adults. 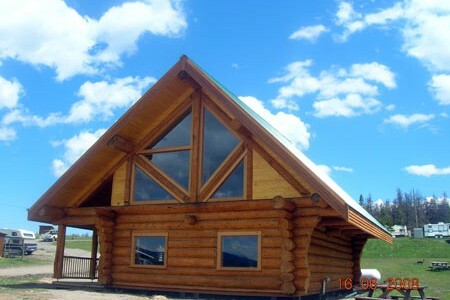 50% deposit of the cabin base rate is required at time of booking. 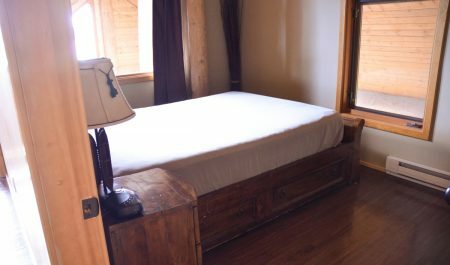 See us about minimum night booking requirements. 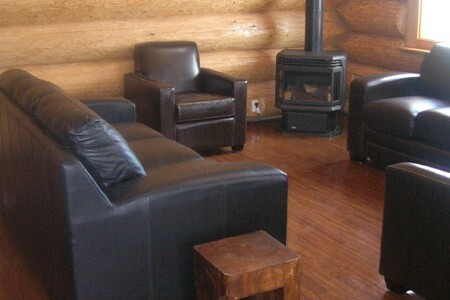 $200.00 cleaning charge for the Luxury Cabins will be imposed if left Uncleaned. 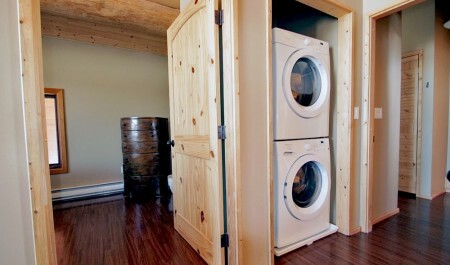 Washer/Dryer, available for longer stays only. 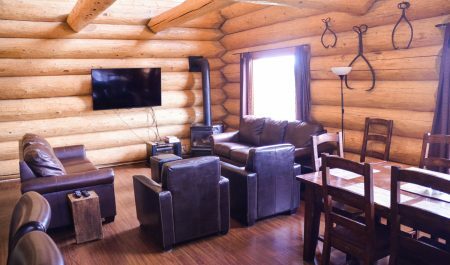 60″ Flat Screen TV with satellite cable service and a DVD player. 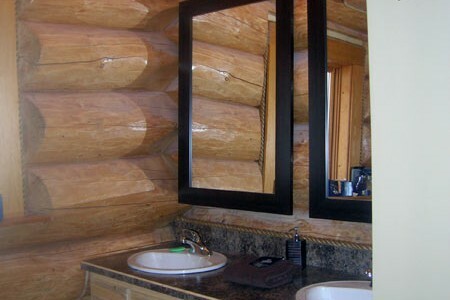 Pets will not be allowed in the luxury log cabins. 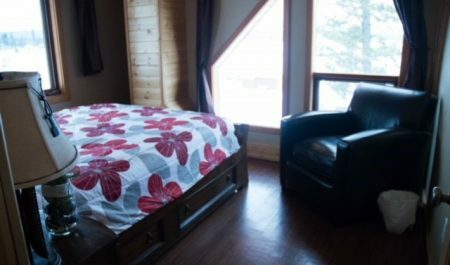 60 days cancellation notice required(6 month notice for Christmas/New Years Eve bookings), $50.00 cancellation fee will be charged. 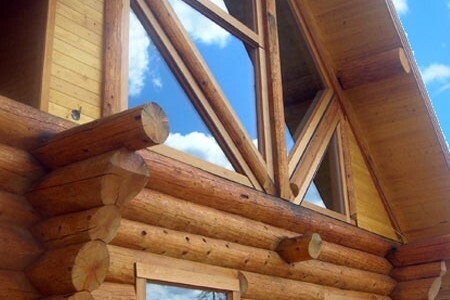 No Smoking inside our Cabins, please use the porch. 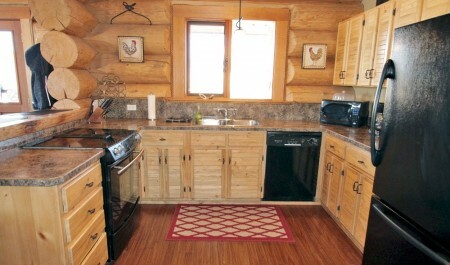 The smaller luxury cabin(#2) is much smaller, but has a fully equipped kitchen (but no dishwasher). 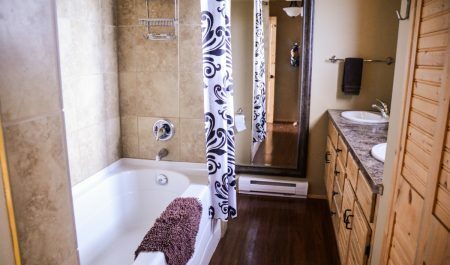 There is one complete bathroom, with shower/tub. 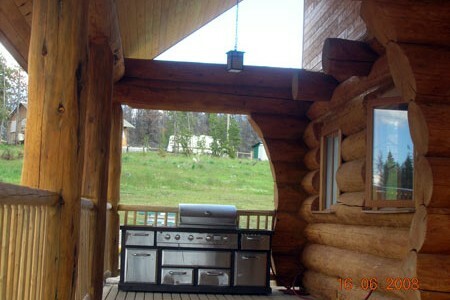 There is a Weber BBQ located outside the cabin. 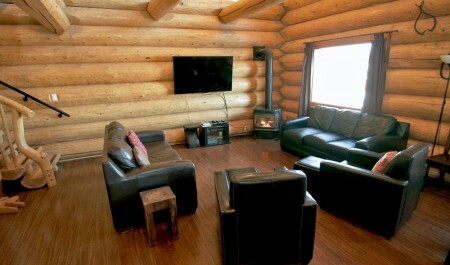 A small TV/DVD player, with basic satellite service, is mounted on the living room wall. 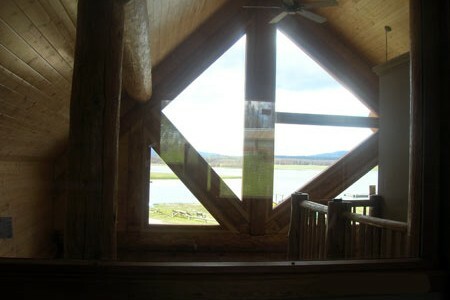 This cabin has great views over the resort and across the lake. 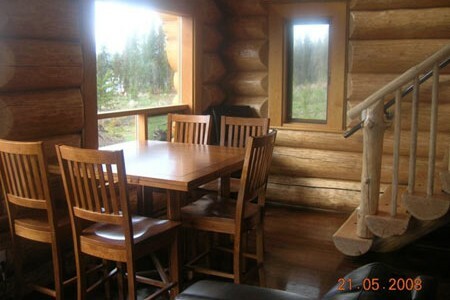 It is a 3 bedroom cabin as well, could sleep 8 (but realistically, is better suited for 4-6 adults). 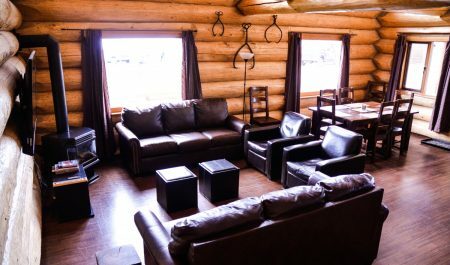 7 night rate is $1600.00 plus tax, and includes up to 4 adults. 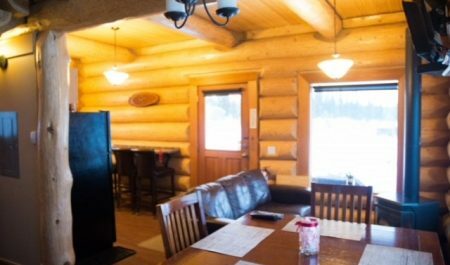 In May and June, long weekends and over Christmas and New Years the luxury cabins have a 5 night minimum stay requirement, 3 nights min. 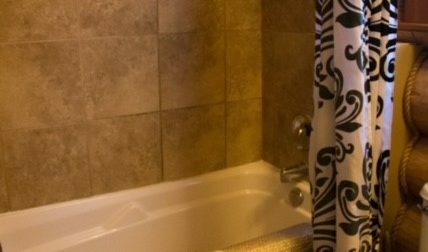 at all other times. 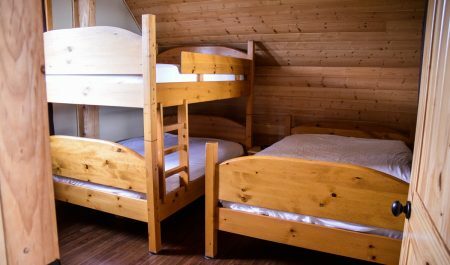 Contact us as there may be shorter stays available between existing bookings. 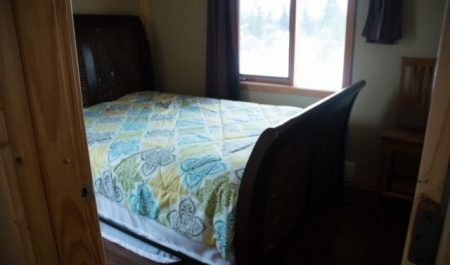 60 days cancellation notice required(6 months required for Christmas/New years Eve), $50.00 cancellation fee will be charged. 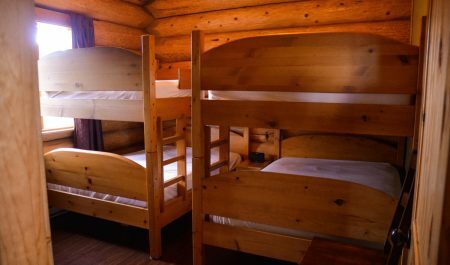 Both cabins are loaded with everything you would need for a great holiday, all you need to bring is bedding, towels and pillows. 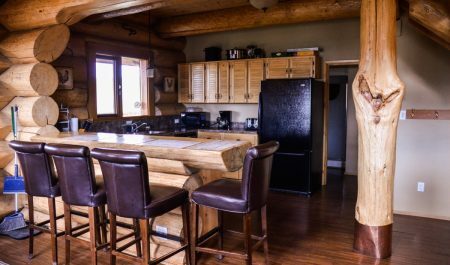 Stay 7 nights, or more, and receive our special pricing, plus our fishing boat special in July and August. 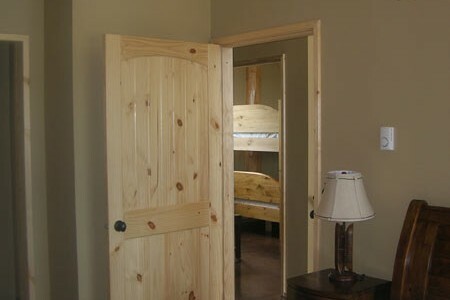 We have an 11:00 am Check Out Time, a $40.00 will be charged for late Check Outs. 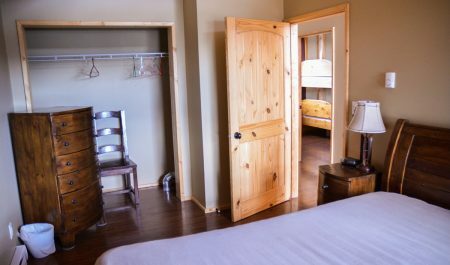 We have a 60 day, cancellation policy. 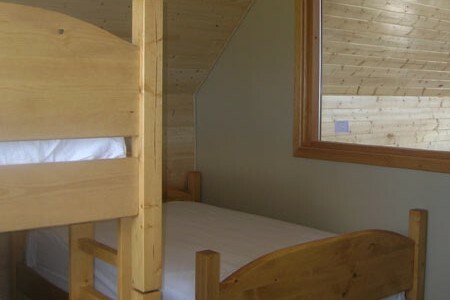 There is a 6 month cancellation policy for Christmas and New Years bookings. 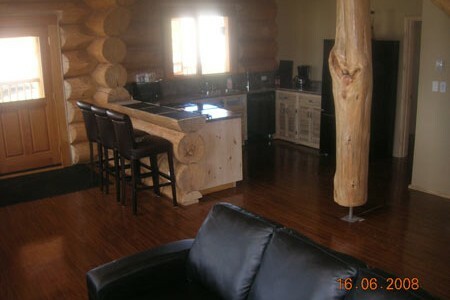 You are responsible for all days booked, includes boat rentals.